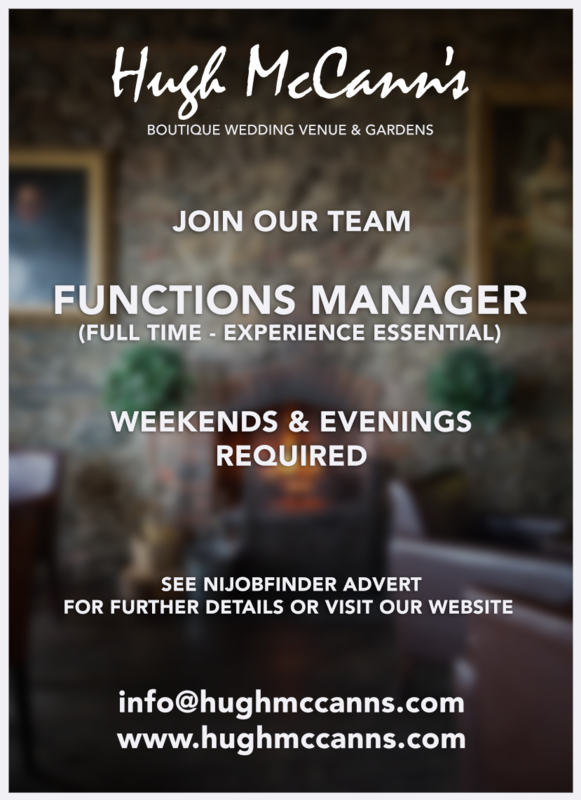 As Functions Manager at Hugh McCann’s, Newcastle, Co.Down. You will direct and motivate our team through the today to today functions we have! From Christenings to Birthday parties, from communions to confirmations, your role will require you to organise and train staff, correspond with the Head Chefs and ensure our customers are receiving the best service. Also, you will assist in the daily run of our weddings. From ceremonies, to dinner you will oversee the production of the day and experience the journey with our couples. You will handle the full run of everything on the day! You will ensure that all staff have full awareness of the event and understand what their responsibilities are for the day. Maximising their delivery and service. The role is 40 hours per week on a 5 days out of 7 basis. Some evenings will be required. © Hugh McCann's 2018. All rights reserved.